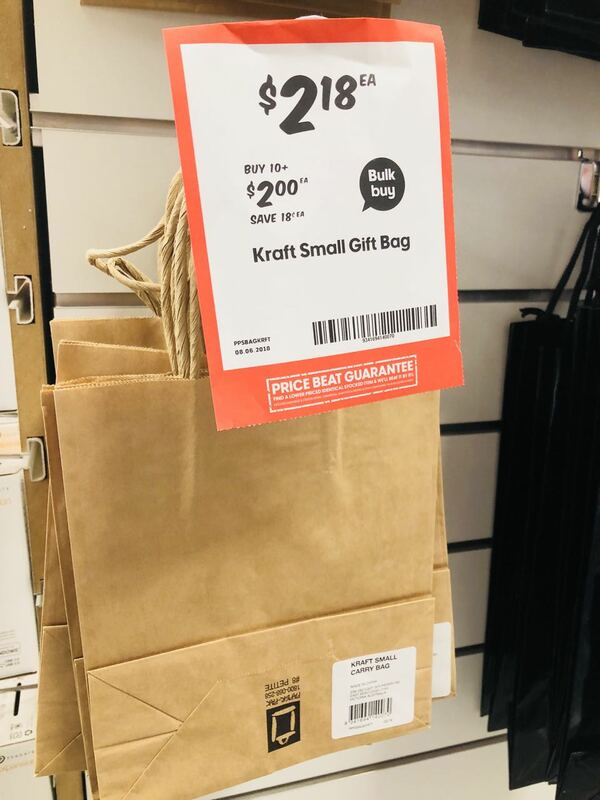 I was in Sydney Wednesday and needed small kraft bag. 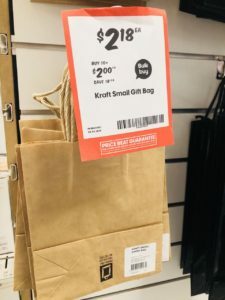 $2.18 is what Officeworks in Pitt Street wanted for a bag that I suspect would have cost them between 15 cents and 40 cents depending on the volume they purchased. I made other arrangements. $2.18 is way overpriced for a small think kraft bag. Thinking as a shopper, it reminded me that Officeworks is expensive. The challenge for newsagents who compete with Officeworks is how to make the price pitch. I think sharing shock price comparisons could be useful, especially in regional situations. If there genuinely is a big price difference where Officeworks is far more expensive, share it. Stick to the facts. Compare like for like. If, in comparison, you find Officeworks cheaper, think about how you respond in your business. Approach it as an opportunity. How many bags did you need? You know false economy and all…. Welcome back Steve, Factory Worker, Big Oil.